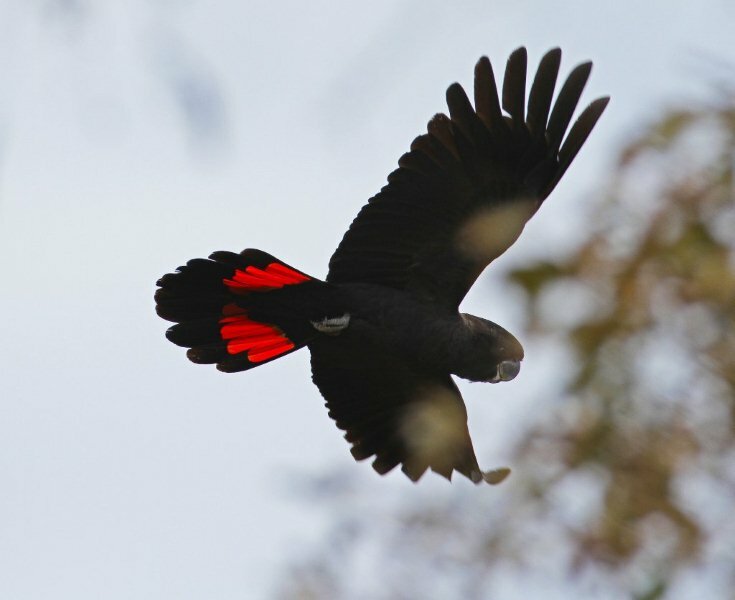 This year the annual count for the South-eastern Red-tailed Black-Cockatoo was held on the 3 May 2014 in less than ideal conditions. Heavy rain and high winds on both the Friday and Saturday made locating birds difficult. Many of the tracks were impassable due to boggy conditions, while the gusty winds proved to be problematic for our counters when trying to listen for Red-tails. While the weather conditions and inaccessibility of tracks resulted in a disappointing tally by sunset that day, extensive follow up work by several counters resulted in an additional 462 birds included in the final tally. The additional birds have brought the final number of Red-tails recorded to 1064, which is slightly down on last year’s tally of 1118 birds and 404 birds down on our record count in 2012. 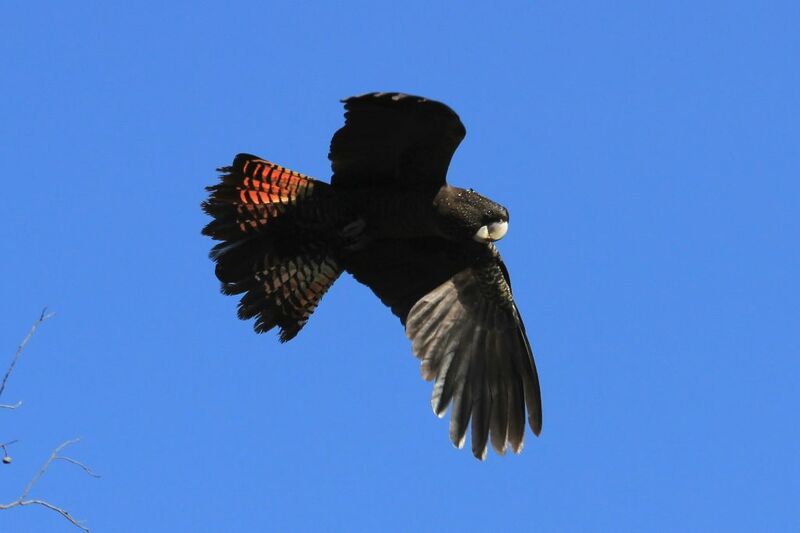 “Red-tails are highly nomadic, ranging from Natimuk to Nelson in south-western Victoria and from Mount Gambier to Keith in the South East of South Australia, so finding them over an 18,000km2 area can be quite challenging,” explained Bronwyn Perryman, Project Coordinator for the Recovery Program. “It’s more likely that birds were simply missed on the day, rather than the population suffering a significant rapid decline over the last two years,” she continued. 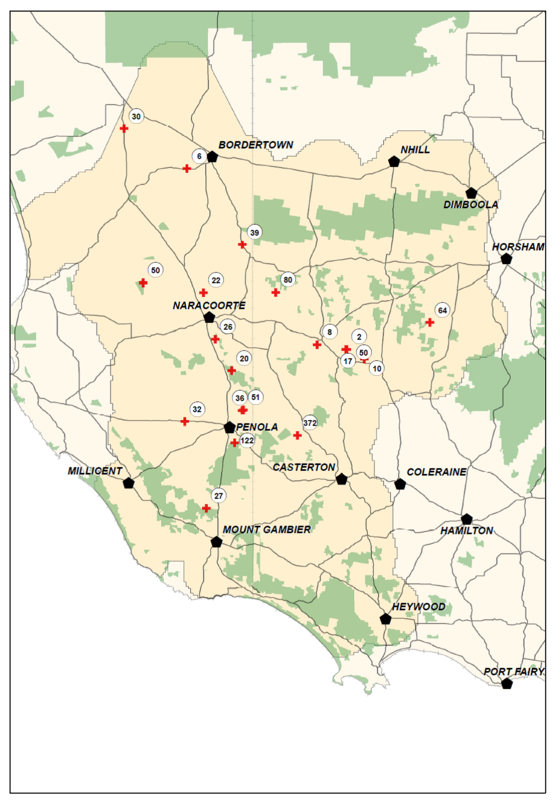 This year the birds were dispersed widely across the range, with counters finding Red-tails near Dergholm, Nangwarry, Comaum, Clear Lake, Edenhope, Lucindale, Frances, Wandilo, Keith and Naracoorte. 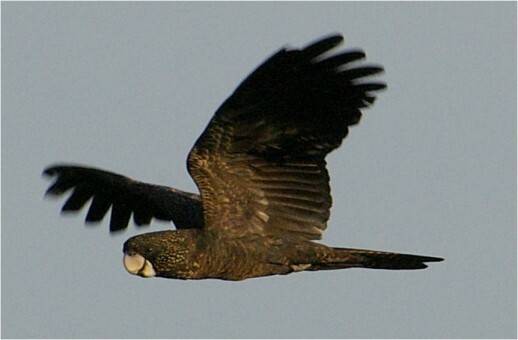 The biggest flocks encountered were 372 birds near Boilaar Swamp in Roseneath State Forest and 122 birds in Nangwarry Native Forest Reserve. Figure 1: Observations and counts of Red-tails recorded during this year's annual count. 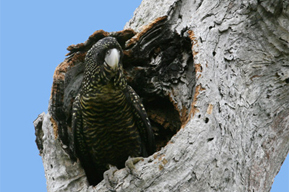 Around 130 volunteers took part in the count this year, covering more than 3200 kms of stringybark forest to search for the cockatoos. 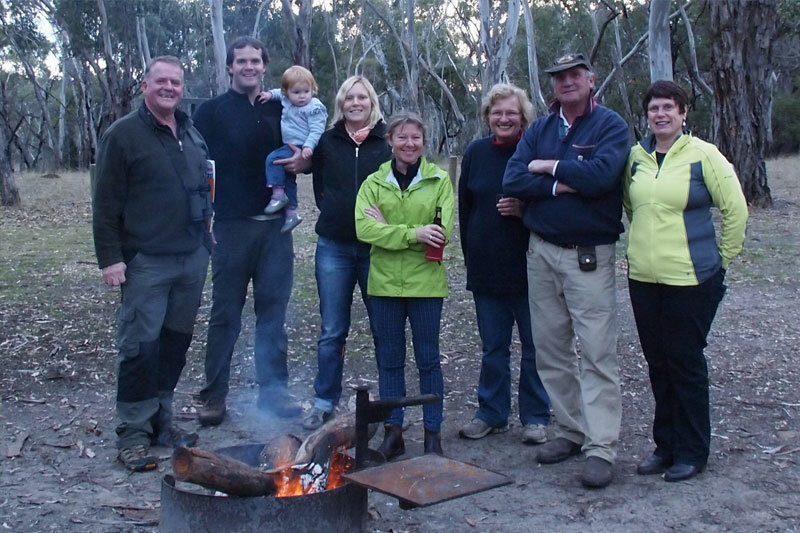 “We again had a wonderful turnout of volunteers, comprising locals, including farmers who chose to search their own land, and metropolitan participants who travelled from as far as Adelaide and Melbourne to help out on the day,” said Bronwyn. 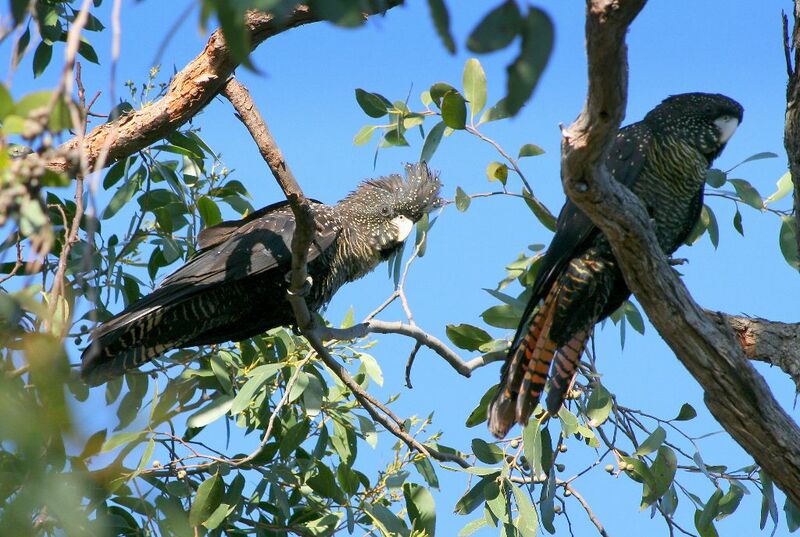 BirdLife Australia and the Red-tail Recovery Team would like to thank all those involved. For more information and/or results from past counts please visit our annual counts page by clicking here.